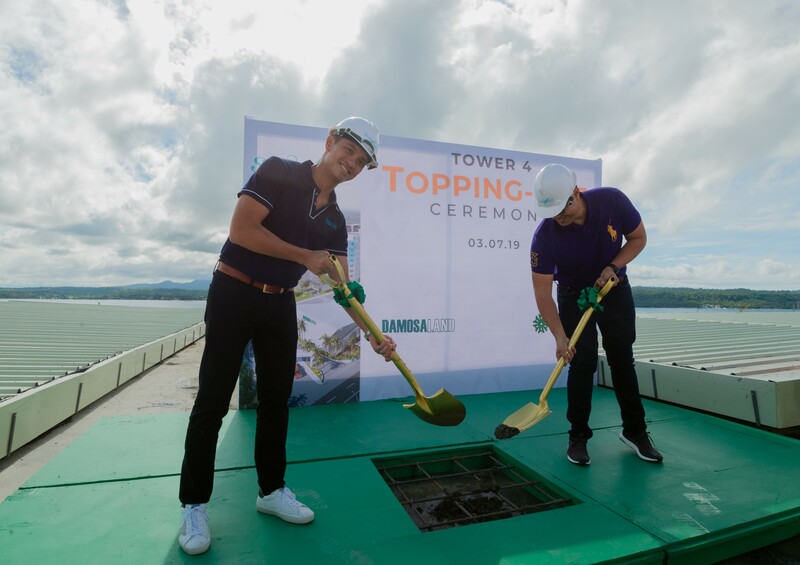 Multi-awarded homegrown developer Damosa Land, Inc. opened the month of March with two new milestones for Seawind this year: the blessing of Tower 3 and the topping off of Tower 4. Damosa Land Vice President Cary Lagdameo shovels cement to top off the construction of Seawind’s Tower 4. With him is Gari Tiongco of Lopzcom. 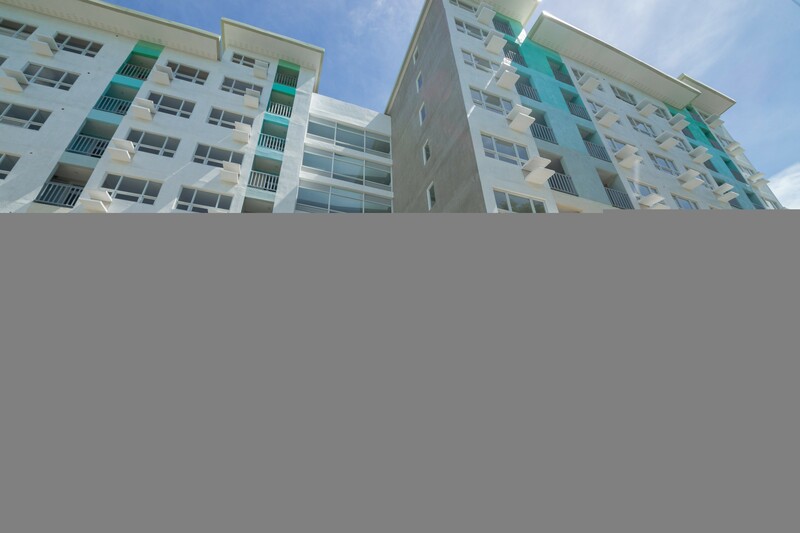 Today Damosa Land is excited to welcome another set of Seawind homeowners to the newly completed seven-storey Tower 3 that houses 180 units. Tower 4 is now a step towards completion as the last batch of cement was poured to top off the construction of the building. 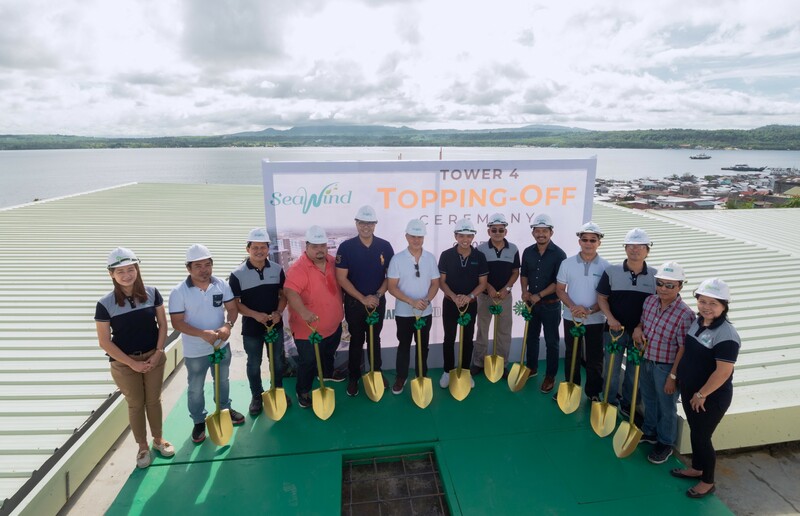 Featuring a view overlooking Davao Gulf and Samal, Seawind’s Tower 4 rises 9 stories high. “What we commit, we deliver,” pledged DLI’s assistant vice president Dani Manlangit. Tower 3 took the fastest completion by far in 14 months. Turnover of Tower 3 units is expected within the month. The 229-unit nine-storey Tower 4 will see completion in the third quarter of the year. The last two of this six-tower condominium development have already started construction, with Tower 5 already rising 5 levels high. Officiating the blessing of Tower 3 was Rev. Patrick Pelonio of St. Joseph the Worker Parish in Sasa. He highlighted the message of peace and love for the unit owners and for everybody else in Damosa Land to allow for warmth and harmony in the growing community. Rising 7 stories high is the newly completed Tower 3 that houses 180 units, ready for turnover within the month. 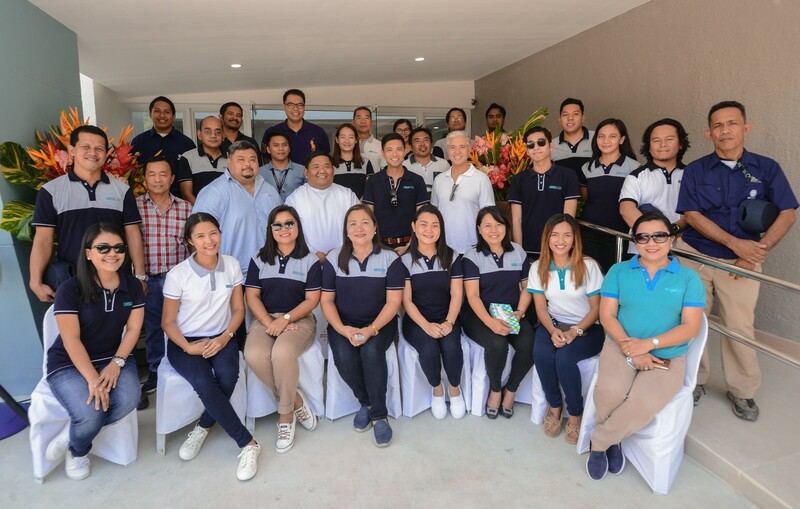 Similar to Damosa Land, Seawind is also a multi-awarded condominium development, receiving commendation and acclamation from the Philippine Property Awards and Asia Pacific Property Awards. Towers 1 and 2 have already been occupied by unit owners. Damosa Land is also gearing up to launch their biggest projects yet this year: Agriya and Bridgeport. Behind every successful construction is a hardworking team. This team, joined by Rev. Patrick Pelonio, worked hard to deliver what they committed. Damosa Land, the property development arm of the ANFLO Group of companies, has been consistently reaching milestones for years. It continues to commit to deliver projects that are innovative and true to the demands of the market, especially in upholding the agro-industrial resources of the region.